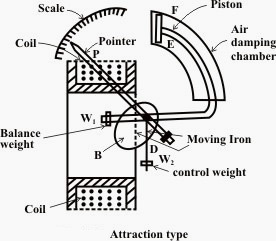 These instrument work on principle of D.C motor . According to this law when current carrying conductor lies in magnetic field then a force work current carrying conductor. It is made in U shape which made of alnico or alcomax material. it provide uniform magnetic field . It uses between permanent magnet and it provide support to coil . it is also provide low reluctance path for magnetic field. It only use for provide constant magnetic field to coil. This coil connect with spindle and being movable . 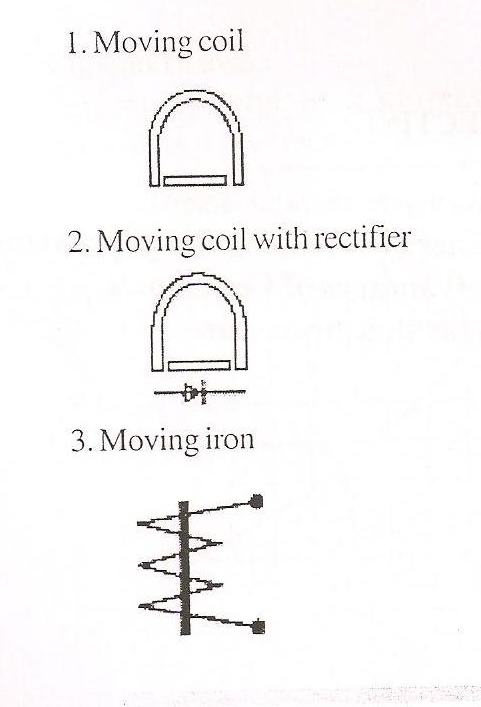 when coil connect from supply then magnetic field developed in coil and it become movable. Its work is dove-lope controlling torque in instrument. it connect with spindle. It is made from steel Rode. which connect various equipment like as coil ,control spring , damper etc. it connect between two ball bearing . It is made from Aluminum and its weight is low . In this type instrument scale being uniform. When we provide supply of instrument then current will flow in coil . 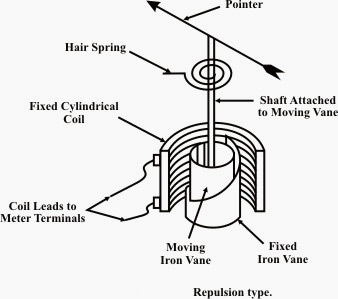 which cause a magnetic field dove lope in coil and deflection torque work on coil . which deflect of moving system . By use control spring and damper generate controlling torque and damping torque when controlling torque is equal to deflecting torque then original reading show on scale. This type instrument used as Ammeter by use resistance. A resistance connect in parallel with PMMC instrument. which called shunt resistance. It is used as voltmeter by use of resistance . A resistance connect in series. which called series resistance.